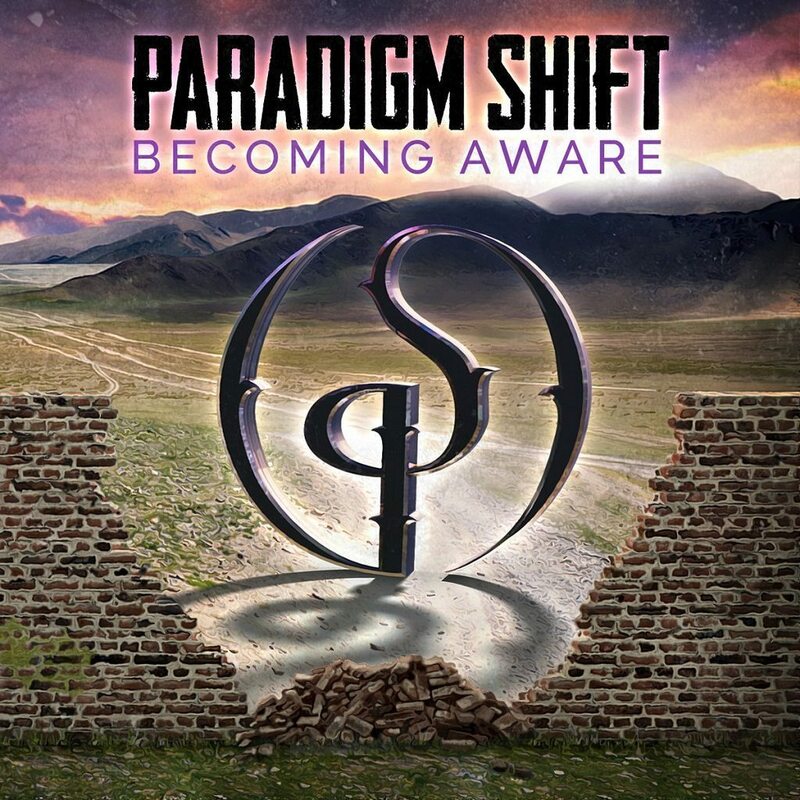 British four-piece Paradigm Shift describe themselves as a band combining elements of metal, jazz and electronica in their music. Mixed by Rob Aubrey and mastered by Tesseract’s Acle Kahney, their début album Becoming Aware represents the culmination of nine years work developing and honing their sound from their beginnings as a duo back in 2007. It opens in archetypal progressive rock fashion; a Floydian synthscape and cacophony of spoken word samples from films and news media before a growling riff takes over and we’re into the sprawling kaleidoscopic “A Revolutionary Cure”, an epic that twists and turns over fourteen minutes. This and the following “An Easy Life” marry spiralling guitar riffs and soaring vocal melodies with intricate jazz-rock instrumental sections. Two short instrumentals follow, the dreamily atmospheric “The Void”, and the jazz-rock of “The Shift”. After “Masquerade” with its dense swirling instrumental passages, the closing number “Reunifications” comes over as a distillation of all the best elements of the album, driven by Puru Kaushik’s propulsive but melodic basslines and Ben Revens’ ever-present piano textures. Taken as a whole, it’s a very solid piece of work. Where there only a few brief moments that could really be described as electronica, the album comes over more as a blend of progressive metal and jazz fusion, though the metal side never dominates; there are no blast beats or cookie monster vocals. In the hands of a lesser band such a thing might easily descend into self-indulgent noodling, but Paradigm Shift are both skillful enough and possess enough taste to avoid making that mistake. There’s still plenty of soloing, but the solos never outstay their welcome, and much of the time the instrumental virtuosity is folded into the structure of the songs. The Vatican: Why Should An NGO Have a UN Seat?